This is a list of the components of the DJIA. Note: This technical analysis is for educational purposes so you can learn to trade online using candlestick charts and other technical indicators including volume, moving averages and oscillators. Please conduct your own chart analysis or consult your financial advisor before making investment decisions. The author of this article may hold long or short positions in the featured stock or index. This entry was posted in U.S. Indexes and tagged candlestick chart, Dow Jones Industrial Average on March 29, 2017 by Trader. This entry was posted in U.S. Indexes and tagged candlestick chart, Dow Jones Industrial Average on January 25, 2017 by Trader. Reference the last chart analysis for the Dow Jones Industrial Average when it was testing major support around 18,000 on November 3, 2016. This entry was posted in U.S. Indexes and tagged chart, Dow Jones Industrial Average, major resistance on December 22, 2016 by Trader. 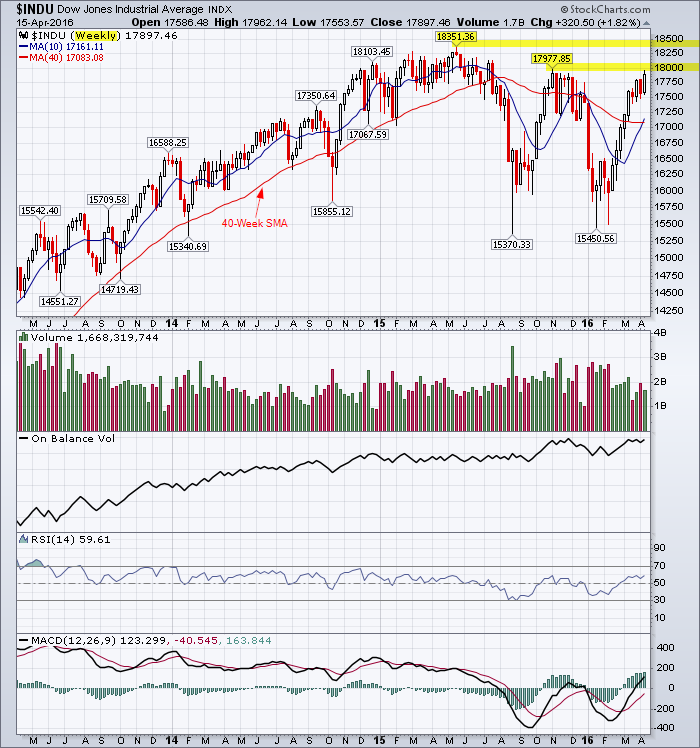 Dow Jones Industrial Average three-year weekly chart showing the intermediate uptrend. Resistance is at the November, 2015 high around 18,000. 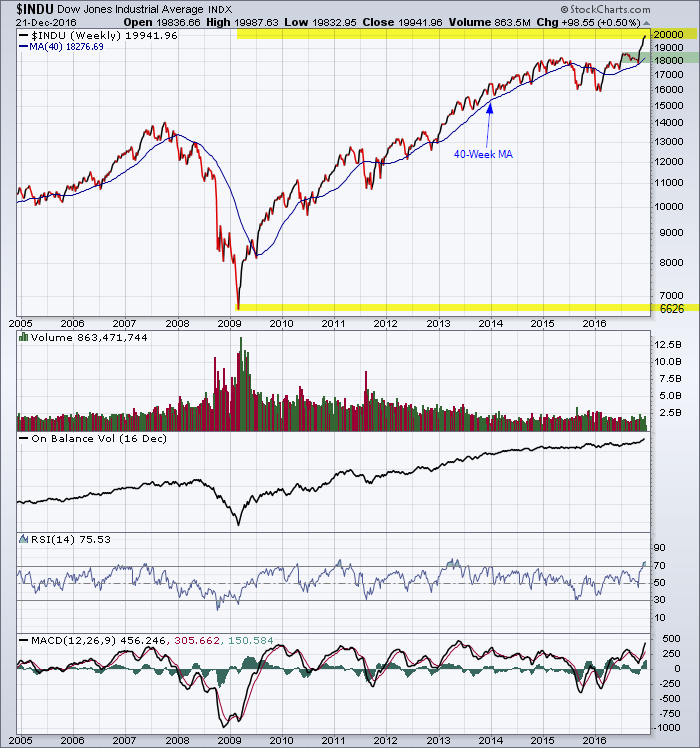 A break above 18,000 would indicate a test of the 2015 all-time high of 18,351. 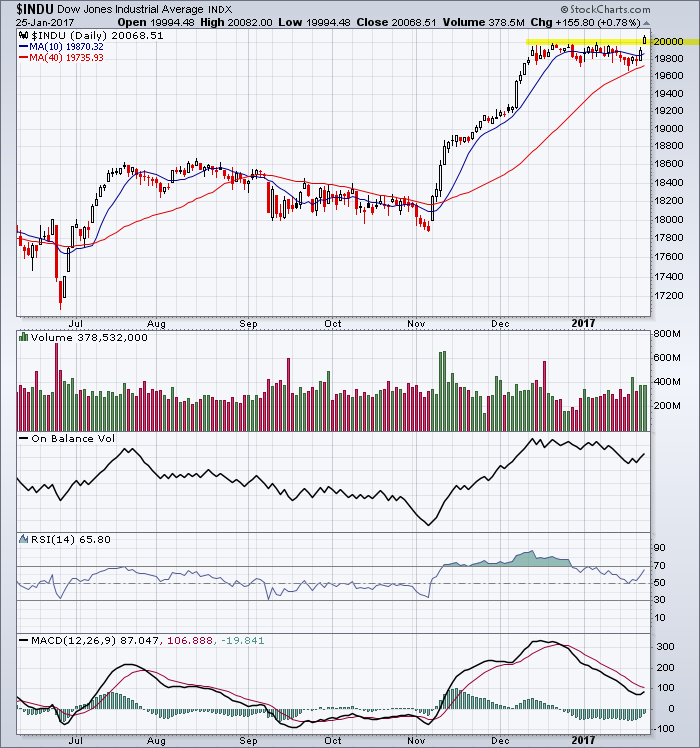 MACD, RSI and OBV are confirming the intermediate and near-term uptrend. 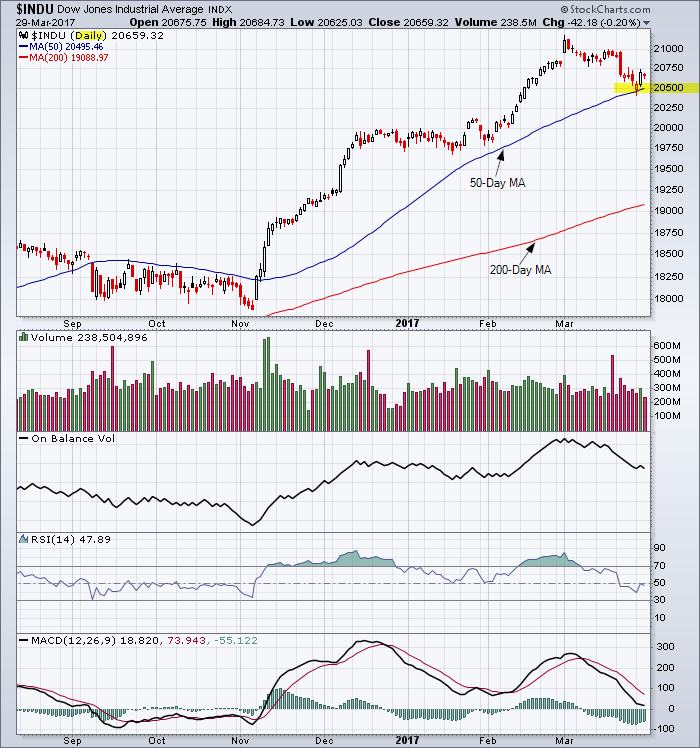 Reference my last chart analysis for DJIA. This entry was posted in U.S. Indexes and tagged chart, DJIA, Dow Jones Industrial Average, intermediate trend, resistance on April 17, 2016 by Trader.